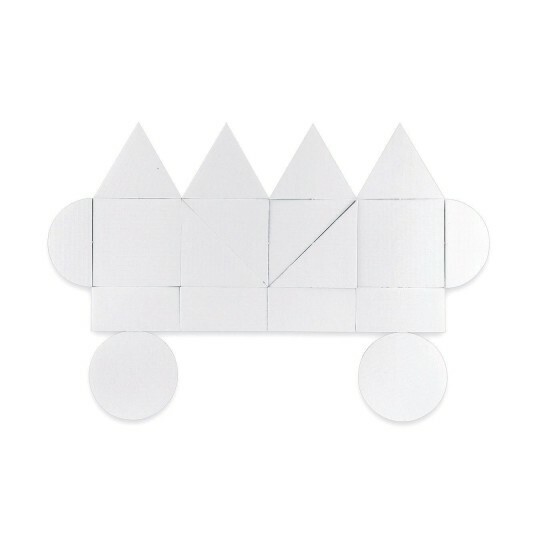 Great for arts & crafts and Makerspace projects. 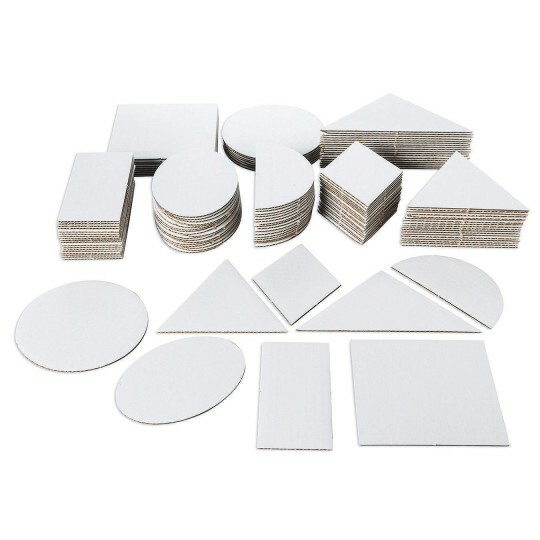 Geometric shapes die-cut from white-coated corrugated material. Eight different shapes include round, square, rectangle, triangle, oval, half-circle & diamond. Great for all arts & crafts and Makerspace projects. Can be easily colored with markers, colored pencils or paints. Decorate with duct tape and other craft trims. Easy to cut with scissors to slot fit together. Can be glued. 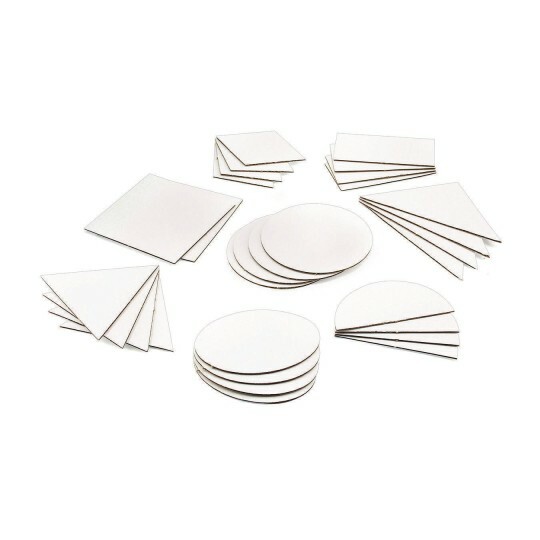 Sizes range from 2-1/2” – 5” and measures 2-1/2mm thick. 140 total pieces. Made in USA.